Presenting 10 Kennion Street, Mitchelton. Resting in elevated Kennion Street, this brand new contemporary home is perfect for anyone seeking a stylish, quality residence in a great location. Offering two levels of modern Queensland living, the home features a clever floor plan that affords multiple living areas, along with space and privacy. Downstairs features a spacious open plan kitchen, dining and lounge area flowing out to two outdoor entertaining areas - both the perfect spots for those long barbeques with friends. The sleek kitchen is a delight with Technika stainless steel cooking appliances, including built-in convection microwave oven, stylish Ceasarstone benches and generous walk-in pantry. The ground floor also features a generous bedroom and bathroom, providing separation of living options for extended families or guests. 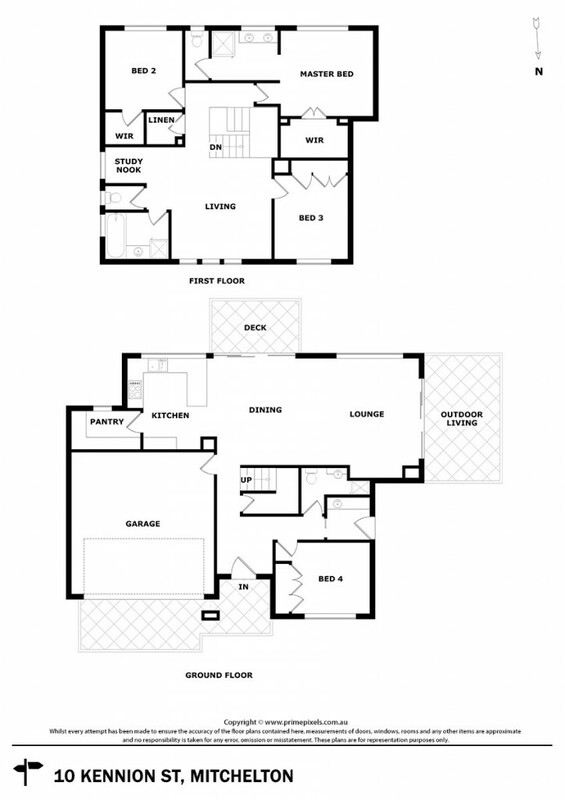 Upstairs features a further separate living/family space, study nook and three well-proportioned bedrooms, all with built-ins, including a beautifully appointed master bedroom retreat complete with floor-to-ceiling tiled ensuite and walk-in robe. Offering sharp and stylish street appeal, number 10 is sure to be the dream package that you've been searching for. Located in thriving Mitchelton, just 9kms (approximately) from the City and walking distance to bustling Blackwood Street, Mitchelton Train Station and Brookside Shopping Centre - position is perfect.